Home Insights As Novartis Exits, Who Will Make New Antibiotics? As Novartis Exits, Who Will Make New Antibiotics? Despite the current crisis, Novartis recently announced that it is terminating its antibacterial research at its Novartis Institutes for Biomedical Research (NIBR) campus in Emeryville, California, laying off 140 employees. Novartis is not the first big pharma company to leave antimicrobial research, with similar decisions having been made in the past by Bristol-Myers Squibb and AstraZeneca. Even Eli Lilly, one of the first companies to manufacture penicillin in the 1940s, followed by decades of continued success with the development of top-selling antibiotics such as vancomycin, erythromycin, Keflex, and Ceclor, has gotten out of the game. With some key players in Big Pharma closing their doors on antibacterial R&D, who is going to make new antibiotics? Someone certainly needs to, with more than 2 million illnesses and 23,000 deaths in the United States every year (and an estimated 700,000 deaths worldwide) caused by AMR infections. Those numbers are expected to rise dramatically in the coming years. Indeed, SMEs are an important stakeholder in the future of AMR. Companies like Warp Drive Bio, Entasis Therapeutics, Nabriva Therapeutics, Symcel Sveridge (see sidebar) and Melinta Therapeutics (which recently merged with Cempra), are developing novel antibacterial therapies. In addition to compound development, SMEs are innovating new ways to think about AMR, shifting the paradigm of how these infectious diseases are treated. For example, the new biotech startup Arc Bio is launching an NGS-based AMR product that can annotate any Gram-negative bacterial DNA sequence in minutes. AMF is an independent non-profit organization whose mission is to enact change in pharmaceutical companies’ focus on access to medicine, including antibiotics. One way that AMF accomplishes that goal is through the “Antimicrobial Resistance Benchmark”, an independent and public tool that ranks how companies are addressing the needs defined by the CDC and WHO when developing antimicrobials. The benchmark shows that some big pharma firms are still in the game. GlaxoSmithKline (GSK), Merck & Co., Pfizer, and Johnson & Johnson are among the names that Dr. Iyer mentions as retaining a dedicated commitment to antibiotic research and development. These four companies are a handful of the roughly 100 companies and 15 industry associations that signed the “Davos Declaration” at the 2016 World Economic Forum committing to “reduce the development of antimicrobial resistance, invest in research and development of new treatments and diagnostics, and improve access to current and new antibiotics.” Nine of the companies were also roadmap signatories, collaborating to define and committing to implement that progress. It should be noted that Novartis signed both the declaration and the roadmap. Antibiotic resistance poses a global threat to all people, across the globe. Simple solutions are lacking, and this has created a large, unmet need for new approaches to solve the problems that key opinion leaders and nongovernmental organizations want filled as soon as possible. The life sciences and healthcare industries and must address collaboratively this issue fast if they are to reduce the global threat of increasing antibiotic resistance. In the field of diagnostics, promising new approaches are at hand that have huge potential to help tackle the serious challenge. 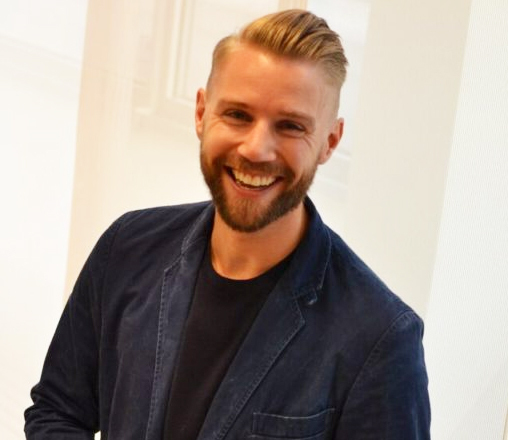 Jesper Ericsson, Ph.D., the CEO of Symcel Sveridge, recently shared his thoughts on antibiotic resistance with GEN.
GEN: Why does the World Health Organization (WHO) list antibiotic resistance as one of the largest global threats to health and development? Dr. Ericsson: Because when antibiotics no longer work, common infections that we today see as completely harmless can become very dangerous and, at worst, life-threatening. When more and more bacteria become resistant to the antibiotics that are used, the mortality due to infections increase and hospital costs go up. The situation is critical and already today 2.5 million people per annum get infections that are caused by multi-resistant bacteria. And as a consequence of ineffective treatments, these infections currently lead to 48,000 deaths each year in the EU and the United States. GEN: What are the pressing challenges that the healthcare sector faces and how can the life sciences industry and other actors reverse the trend and come up with new solutions? Dr. Ericsson: Antibiotic resistance is a problem that does not have a single simple solution but is complex and requires collaboration between antibiotic manufacturers, diagnostics companies, healthcare, governments, and global organizations. Focused actions to counter the pressing challenge is needed right now in areas such as reducing the amount of antibiotics used in hospitals, agriculture, and primary care. 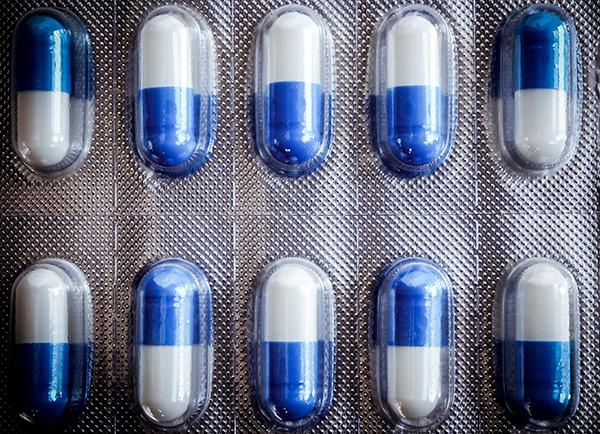 But a reduction in the use of antibiotics alone will nowhere near suffice—new antibiotics are urgently needed in order to treat bacterial infections that are presently resistant to treatment. 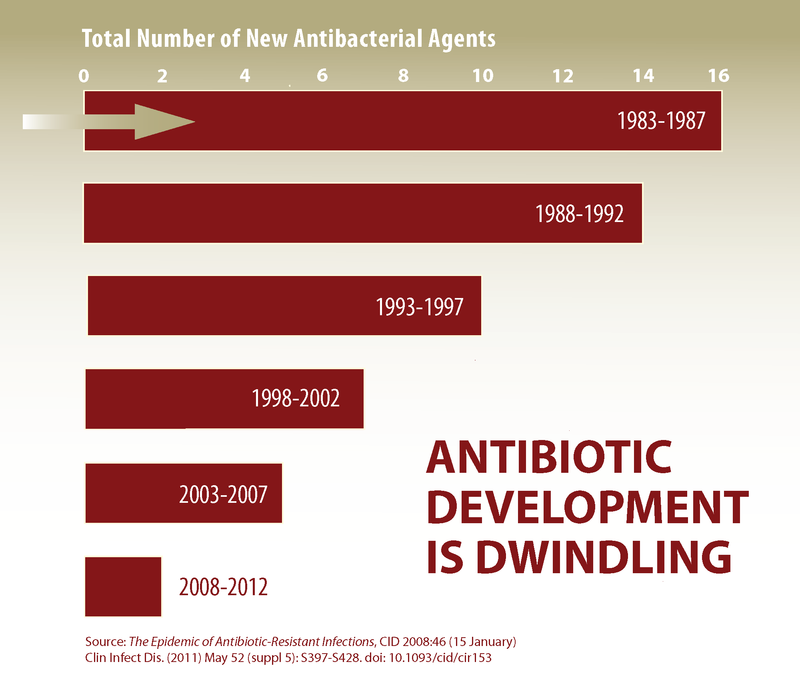 A key problem is that almost no new antibiotics are being developed today. GEN: What is needed to develop new antimicrobials? Dr. Ericsson: From the business side, new financial structures are in demand that promote the development of antibiotics. At present, it is in many cases not economically profitable to develop new antibiotics. There are many reasons for this, but paradoxically: The problem of resistance developing so quickly against new antimicrobials poses a large risk to businesses as their new antibiotics can quickly become ineffective. This, in combination with the fact that doctors will try to use the new drugs as little as possible to maintain their effect, makes it much more difficult for companies to recover their investment. GEN: What is the treatment situation in Sweden and within the EU? Dr. Ericsson: In the hospitals, the absence of new antibiotics means that doctors need to do more with the arsenal of antibiotics currently available to them. The treatment situation in Sweden is relatively good, the level of resistant bacteria is still low but it is increasing. In southern Europe, the situation is much more serious with a high proportion of multi-resistant bacteria and many cases of infections where few or no antibiotics work at all and where last-resort antibiotics, like Colistin, have to be used. GEN: What are the alternatives today when more customized treatments are needed to utilize the antibiotics that still work? Dr. Ericsson: For the bacterial infections where last-resort antibiotics need to be used, combinations of antibiotics are often used. This protects the few antibiotics that still have an effect on highly resistant bacteria. The problem today is the identification of the right antibiotic combination to use. Healthcare professionals today have to tackle a very difficult puzzle without any standardized methods to find the best treatment combination. There is a large need for more personalized diagnosis and treatment where you know which antibiotics can be used to cure the infection. GEN: Is this the reason why the calorimetry approach received a large grant from the EU within the Horizon 2020 program, to test its effectiveness in clinical settings? Dr. Ericsson: Cell-based assay tools that accurately measure cell metabolism in real-time are now available. They are one of the few methods on the market capable of identifying the active antibiotic combinations in the treatment of multi-resistant bacteria. The calorimetric technique enables rapid and accurate testing of antibiotic combinations for the identification of the correct combination and therefore tailors the treatment against the specific bacterium that causes the infection—providing a customized therapy as a consequence. GEN: What are the benefits of using combination therapy when treating multi-resistant bacteria? Dr. Ericsson: In combination therapy, the main benefits are that it makes it more difficult for bacteria to become resistant to treatment as the risk of developing resistance is reduced. Combining two antibiotics can even shorten infection time due to the increased rate of killing. Together, this is crucial in reducing mortality in severe infections, where the onset of resistance can have devastating consequences for [both] the individual patient and society as a whole if it is spread further. Biotech Companies Face the Key Question—Deal or No Deal?